Timmy Allen from Red Mountain (Mesa, AZ) made his decision about his future earlier this week with a commitment to Utah. Ranked No. 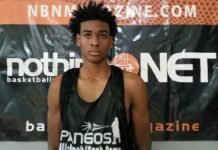 139 in the Class of 2018 by Nothing But Net Magazine, the fit appears to be good for the 6-5 forward and the Utes. Worth noting, he had more than 10 offers before the all-important decision and schools from the Pac-12 Conference and Big 12 Conference were in the mix for his services at the collegiate level. Still, there was something appealing about Salt Lake City. By most accounts, Allen is Grand Canyon State’s top player at his position. 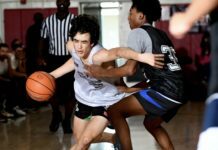 Doing well in the past on the grassroots circuit with Compton Magic strengthened his reputation. Now, with a seemingly certain future, he can take his game to the next level. All eyes on Langford: Ranked No. 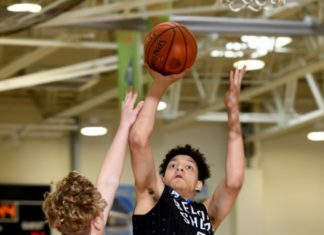 6 in the Class of 2018 by Nothing But Net Magazine, Romeo Langford from New Albany (IN) is a hot topic as talk heats up about the 6-4 guard leaning toward Indiana. Make sense, given the school’s proximity. Still, there are plenty of teams in the hunt. Langford recently cut down his list to seven: Kansas, Kentucky, Louisville, North Carolina, UCLA and Vanderbilt. Naturally, the Hoosiers are the final piece of the puzzle, and in the end, could be the best possible fit. Buzz surrounds Brazdeikis: Life on the recruiting trail has been busy for Ignas Brazdeikis from Orangeville Prep (Mono, ON). Ranked No. 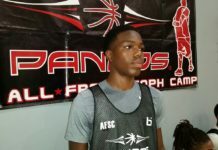 57 in the Class of 2018 by Nothing But Net Magazine, given his travels, a commitment could be looming. 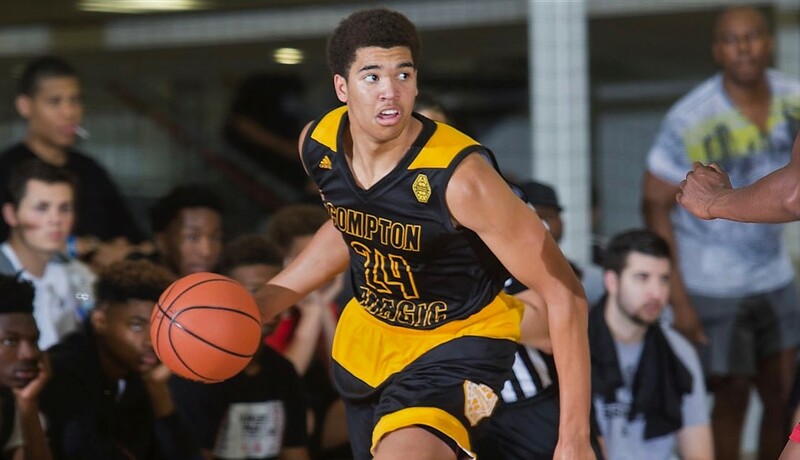 The 6-8 forward made a stop in Michigan on Sept. 8, follow by a trip to Vanderbilt on Sept. 15. In less than two weeks, plans are in the works for a visit to Florida on Sept. 29. With more 20 offers on the table, safe to say he has plenty of options.